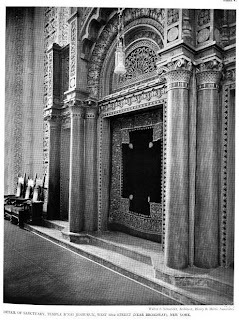 Temple B'nai Jeshurun designed by Walter S. Schneider and Henry B. Herts c. 1919 at 257 West 88th Street in New York City. 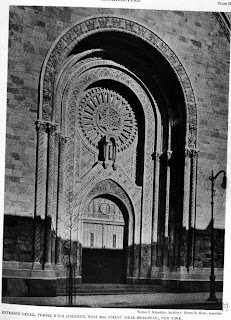 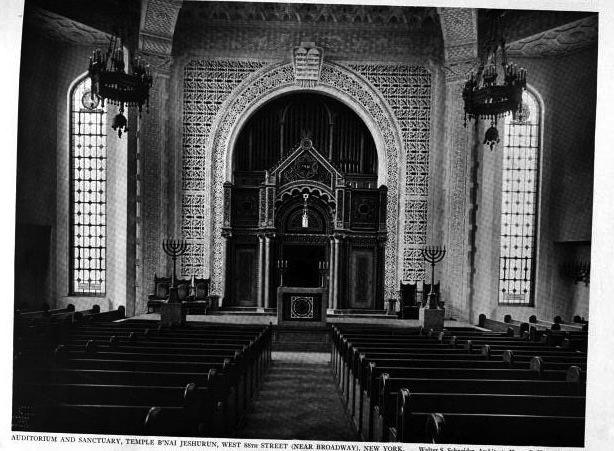 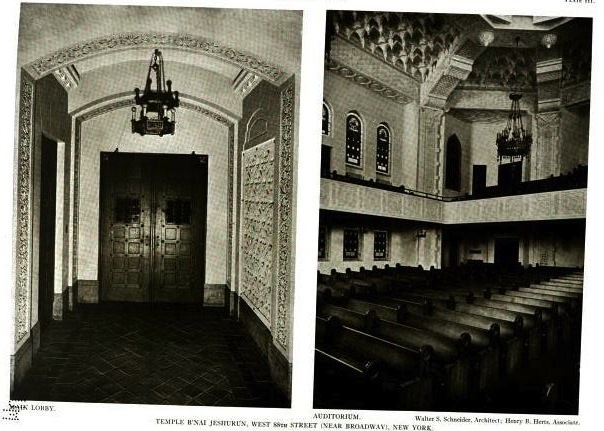 The temple was founded in 1825 making it the second synagauge founded in New York and the third oldest Ashkenazi synagogue in the country. 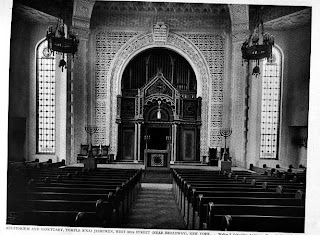 Click HERE for more on Temple B'nai Jeshurun and HERE to see it on google street view. 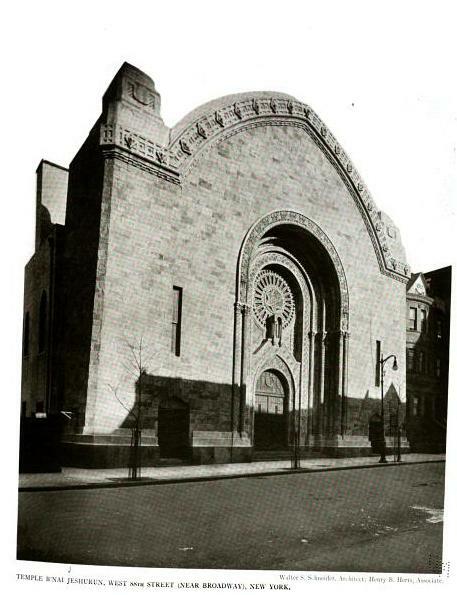 Click HERE for a Christopher Gray Streetscapes article on the temple. What an elegant, early 19th century shule, built in a monumental style to last forever. 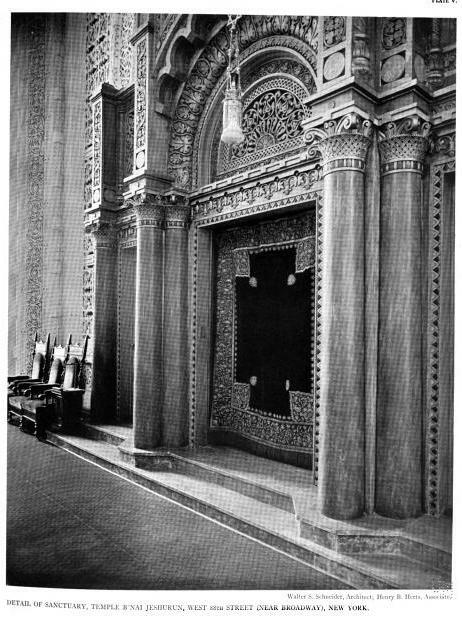 I particularly like the columns on either side of the Aron. 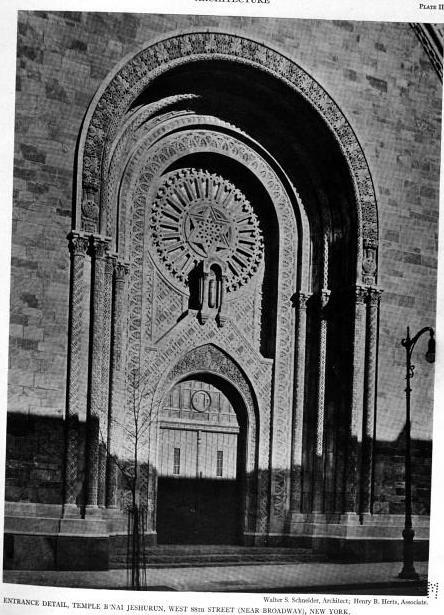 But there are no windows in the front, is that correct?